Velocity Unified Communications High Speed IP service, insures that steadily increasing demands on your Internet bandwidth do not have to inhibit your organization operational capacity. With a complete range of port interface speeds, multiple access and billing options, and online performance reporting, our High Speed IP service combines scalability, reach and reliability. We provide our clients with a highly efficient and scalable network with a superior online experience. Multiple-port interface options for Ethernet and TDM. Broad availability throughout the U.S. and Caribbean with multiple transport options that is available to extend High Speed IP service. 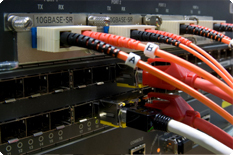 Access of up to 10 Gig Ethernet through our strategic partner alliances, you can take advantage of high end scalability, lower operational costs and simpler dedicated management. Dedicated transport routes to the most important Internet destinations. Our mission is to deliver a superior Internet experience, which translates into happier customers and employees for you.